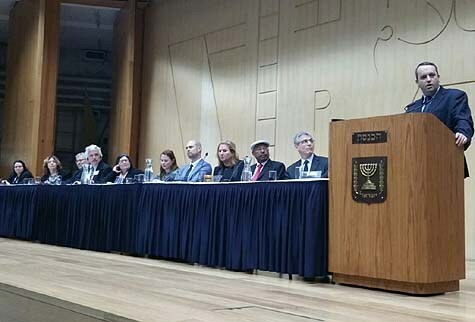 For the first time in the Knesset’s history, hundreds of North American Reform rabbis were guests at Wednesday’s official meeting of the Knesset Committee on Immigration, Absorption and Diaspora Affairs. “As one of the largest [Jewish] communities in the Diaspora, it is important to strengthen the connection between you and the State of Israel, in order to strengthen it as a Jewish and democratic country,” Committee Chairman Avraham Naguisa (Likud) told the Reform rabbis. As peaceful and friendly as those statements may have appeared — coming in the wake of a cabinet decision to officially recognize the Reform movement and its religious customs as one of the legitimate groups with its own territorial rights at the Western Wall — they were, in fact, a declaration of war. At the same time, Netanyahu has until Passover to make good on the agreement made with the Ultra-Orthodox. And if the Israeli media and the average Israeli man and woman sitting by their TV sets did not get it, the ultra-Orthodox and their Knesset representatives certainly got it, and their response, if one should take it seriously, was nothing short of a declaration of war, on the Reform and on the cabinet, Netanyahu’s cabinet that is, that invited them in. Also on Wednesday, MK Yisrael Eichler (UTJ) told the Knesset plenum that he was back from a meeting with the Council of Torah Sages, a body that counsels the ultra-Orthodox MKs, without necessarily handing down directives. But this time, apparently, they did. MK Eichler has written this week an exclusive analysis for The Jewish Press Online (Analysis: How the Reform Control Government, Knesset Committees and the Courts), an angry depiction of the Reform influence on Israel’s body politic through a heavy financial involvement, many forms of bribery, really — while the movement’s electoral constituency in Israel is not large enough to support even one Knesset seat. On Wednesday, having consulted with the council, Eichler declared: “If the government wishes to continue the cooperation with the Haredi community and its representatives, it must end the capitulation before the Reform and their followers, and terminate the war against the Western Wall. … No one has succeeded in desecrating the Western Wall for thousands of years and we remained faithful to God, God who resides in Zion and His Shechina (divine emanation) that resides at the Western wall, and no government would be able to break it. “Likewise, no Supreme Court will be able to desecrate the sanctity of Mikvas (ritual baths), and the mikvas will be run only according to halakha,” Eichler said, referring to a court decision that permitted Reform use of local mikvas without the need for approval by the chief rabbinate, since mikvas are under the jurisdiction of the local religious councils in each community. At which point MK Eichler, in the name of his mentors at the Council of Torah Sages, issued an ultimatum: Netanyahu has until Passover to follow the coalition agreement he signed with the ultra-Orthodox and correct through legislation the high court’s mikva ruling. He also has until Passover to remove the core curriculum “decree,” a remnant of former Education Minister Shay Piron (Yesh Atid) — also in keeping with the coalition agreement. A third and fourth item, still under that same agreement, signed by Netanyahu, is providing employment to the Haredi public and offering income guarantees to Haredi yeshiva students. Finally, in keeping with his attack on this website against the Reform influence on Israeli politics — Netanyahu must reverse the trend of unlimited influence of the Reform on the political process in Israel, and take steps to remove their legitimacy as an equal Jewish denomination. But MK Eichler did not include that last part in his ultimatum.